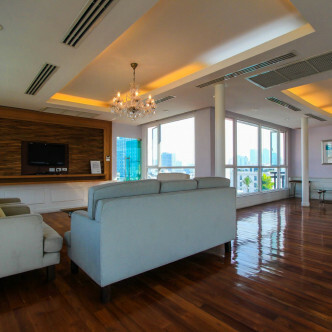 This impressive seven-storey serviced apartment features 41 elegant and comfortable units that are ideal for both single people and families to enjoy. 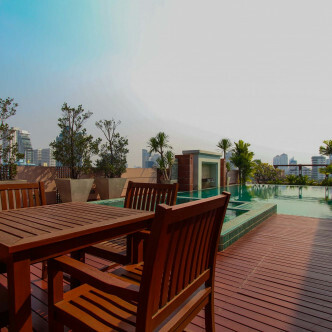 Montara Tonglor was completed in 2009 and boasts a contemporary façade and striking interiors. 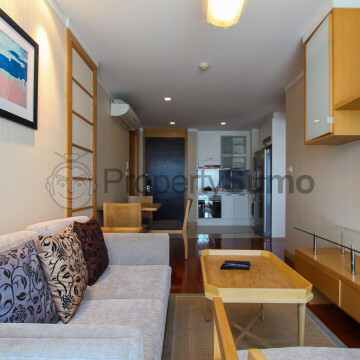 Units include one and two bedroom pads, all of which are fully furnished and pets are permitted here. 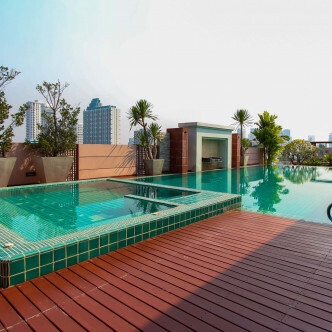 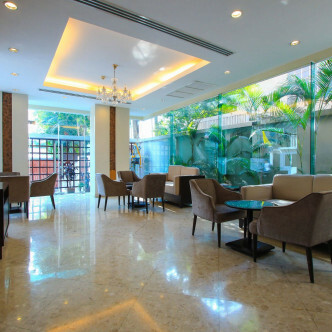 Montara Thonglor offers a range of incredible facilities for residents to enjoy such as a large outdoor swimming pool, a sauna, steam room and a decadent Jacuzzi to unwind in. 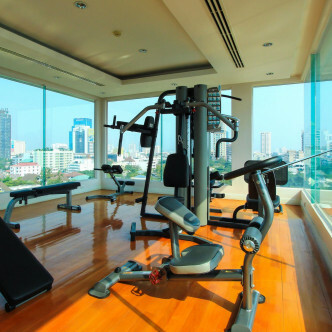 Panoramic views of the city can be enjoyed while working up a sweat in the state-of-the-art fitness centre, while residents can also play a set or two on the onsite tennis court. 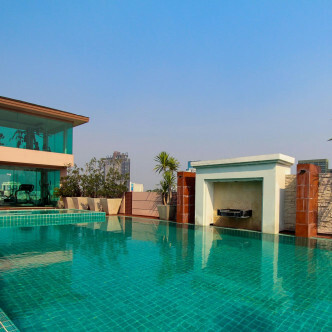 This stylish residence can be found the vibrant district of Thonglor, which is a popular location among modern city slickers. 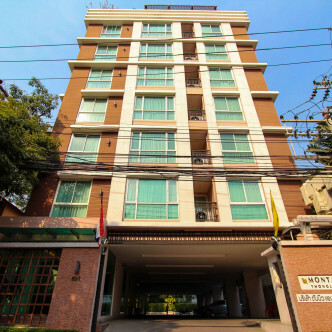 A complimentary tuk tuk service is provided to take residents to the nearby BTS station, while this upmarket neighbourhood is packed with spas, bars, cafes and restaurants that are waiting for residents to use in their spare time.